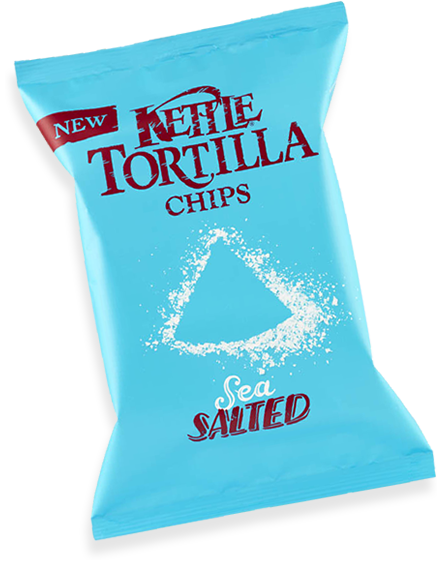 We will repeat what we wrote about the other Kettle Tortilla Chips - Which came first the Chicken or the Egg? Is a question we are all familiar with. We would be more interested to know which came first; the Tortilla Chip or the Dip? No snack is more suited to dipping than the thickly sliced, fried Tortilla Chip. And these were no different. The crispy, snappy crunch was maintained throughout the full eating process, whether accompanied by lashings of dip or not. Triangular shapes with rounded edges and crumbly surfaces. What more could you ask for in the way of Tortilla character? The surfaces of all the Chips were bumpy and oil boiled. There were black spots dotted around, but no identifiable salty seasoning. While Potato Chips and Crisps have an aroma as akin to the flavour as the potato in most cases, Tortilla Chips have an aroma of their own. These were no different. There was little hint of the flavour, it was just obvious that there was something fried in there. These Chips tasted like naturally salty corn snacks. They struck a great balance between the flavour described on the bag and the basic snack itself.